For almost 10 years I used what I’ve come to call the “buffer budget”. Cash flow buffer – Good habits that kept our routine expenses far enough below our regular income that most irregular expenses could simply be handled by the difference. Irregular expense savings accounts – Dedicated savings for irregular expenses like home maintenance, car repairs, travel, and gifts so that the money for those things was generally there when we needed it. Emergency fund – A healthy emergency fund for the really big things that couldn’t be handled by our other buffers, like a job loss or disability. With those buffers in place, the idea was that we wouldn’t have to stress too much the details of our spending. We could simply automate our savings and allow those buffers to absorb life’s inevitable ups and downs. And that worked for a while. It was particularly effective both when I was single and when my wife and I both had steady paychecks and no kids. 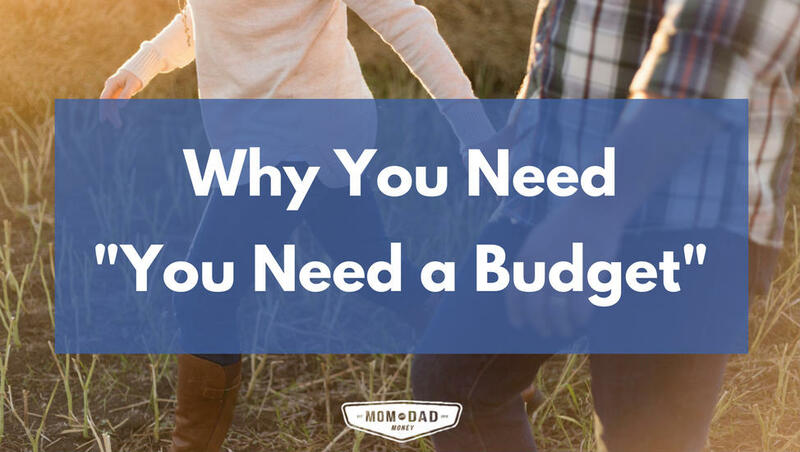 But as we had kids and our fixed expenses increased, and as my wife and I both started businesses with income that can vary pretty significantly from month to month, the buffer budget started to break down. We were no longer able to count on a significant cash flow buffer every single month, which was really the backbone of the entire system. Without that foundational buffer in place, even run-of-the-mill irregular expenses would occasionally cause problems, throwing the entire system out of whack. The overall idea behind creating a system with built-in buffers and automated savings was, and still is, a good one. But we didn’t have control over that system like we used to. I’d heard about You Need a Budget (YNAB) for years. 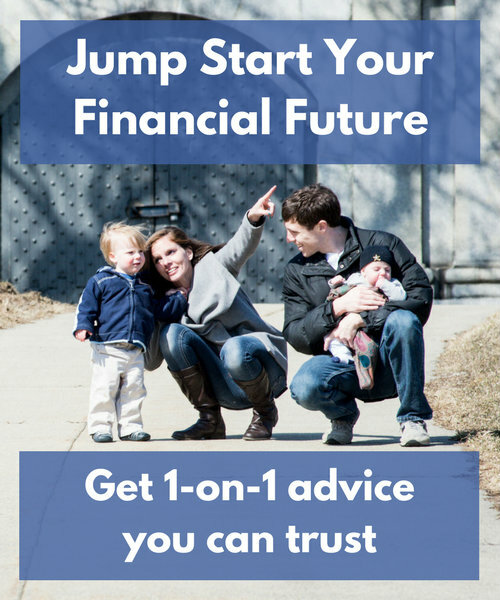 People raved about it, crediting it with everything from saving them from some pretty dire financial situations to simply helping them get more organized. But I’d never tried it myself. I had thought about it, but inertia is a powerful force and I was too stubborn/proud/lazy to fully admit that the system I’d been using for years was no longer working. Finally though, my wife and I hit a breaking point. Our businesses had grown to the point where we were consistently making more than we needed each month, but we still couldn’t seem to get a handle on everything. We weren’t on the same page, unexpected expenses were regularly throwing us off track, and our savings were shrinking rather than growing. So in April we finally decided to give YNAB a shot. We sent the kids over to my in-laws and spent a Saturday morning signing up, linking our accounts, and creating our budget together. I know that sounds ridiculous, but I really mean it. YNAB has quite honestly been a revelation, putting my wife and I in better control of our money than we’ve ever been and putting the two of us more on the same page than we’ve ever been. I love it, and in this post I’m going to share why I love it so much, as well as some of the downsides to consider. Quick note: I am not affiliated with YNAB and am not compensated by them in any way. I am writing this post simply because I honestly love the app and think it will help you. Before getting into all the reasons why I love YNAB, including some of the downsides, it’s helpful to understand a little bit about how the app works. There are a ton of tutorials on YNAB’s site, and I would definitely recommend relying on those if you really want to give the app a shot. But here’s a quick overview of the main steps involved that should be enough for our purposes. Linking your checking accounts and credit cards is enough to accomplish both of those goals, since those are the accounts that receive your income and then either spend the money or send it to savings. YNAB connects to your accounts and imports your transactions, allowing you to track all of that activity. 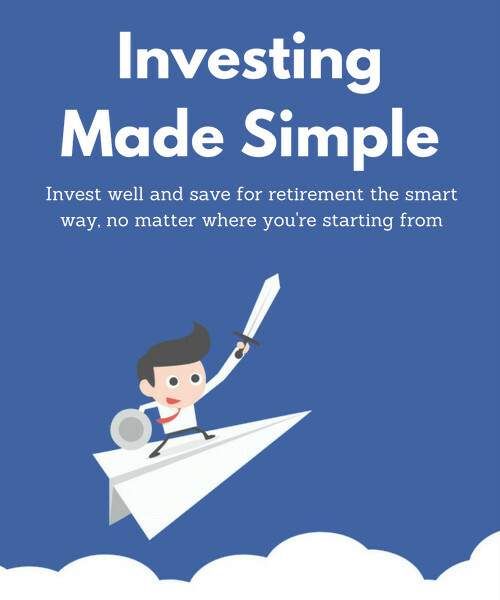 However, I also think there’s a lot of value in linking your savings accounts, since that allows you to additionally keep track of how much money you’ve accumulated towards your various savings goals. You do not need to link investment accounts or debts other than credit cards. You can simply track your contributions and payments towards those accounts. Once all of your accounts are linked, you’ll have a big To Be Budgeted number at the top of the app. This number is simply the sum of all the money in your checking and savings accounts, minus the current total balance across all of your credit cards. It represents the total amount of money available to you for both your upcoming expenses and your short-term savings goals. Monthly budget – Everything that you spend money on every single month. This includes things like your mortgage payment, utilities, groceries, and debt payments. Irregular bills – Annual or quarterly bills like insurance premiums, car registration fees, and Amazon Prime. You can set money aside for these things monthly so that the money is available when the bills come due. Irregular expenses – Expected but irregular expenses like home maintenance, car repairs, travel, and gifts. Like your annual bills, you can set money aside for them monthly and allow it to accumulate, making it more likely that you’ll be able to afford them when they come up. Savings goals – Your emergency fund. A down payment. A new car. Whatever you’re saving for, you can both set a chunk of money aside for it initially and add money to it either monthly or as it’s available. 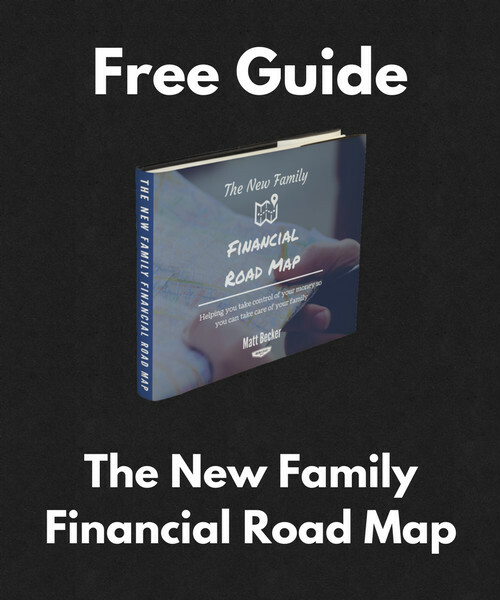 Your initial task is to take all of your To Be Budgeted money – that is, all of the money available to you across all of your checking and savings accounts, minus what you owe on your credit cards – and allocate it towards all of these categories. This can take some time and involve a number of guesses, especially if you’ve never budgeted or tracked your spending before. But the end goal is to walk away with at least a beginning understanding of both how much you’re spending each month and how much money you truly have leftover for savings goals after accounting for all of your basic needs. Now that your accounts are all linked, YNAB will start importing transactions as they occur and it’s your job to log in regularly and assign each of those transactions to the correct category. As transactions are imported and categorized, YNAB compares your spending against your budget and lets you know if you’ve overspent in any particular category, as well as showing you categories where you have money leftover. It’s then your job to make adjustments for any overspending. For example, if you spend $50 more than you budgeted for groceries, you need to cover that deficit by taking $50 from another category. You could take it from discretionary spending like your eating out category, or it could come from one of your savings categories like your emergency fund. Either way, you do have to account for it. And while this might sound like a hassle, I’ll explain below why I actually really like this feature. When you receive your paycheck or otherwise have new money deposited into your account, you’ll have a brand new To Be Budgeted amount that you can allocate towards next month’s expenses, savings goals, debt, or anything else. From there, the process repeats itself. New money comes in, you budget it according to your needs and goals, and you track your spending and make adjustments along the way. Simple, right? Well here’s why I love it so much. I don’t need to tell you how frustrating those irregular expenses can be. 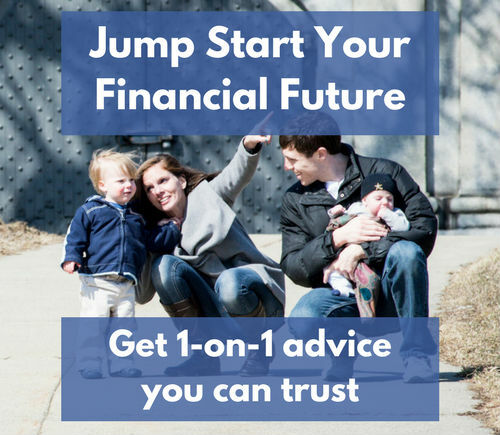 Whether it’s new tires for your car, an unexpected trip to the hospital, your best friend getting married across the country, or an annual bill you forgot to account for, those irregular expenses always pop up at the worst time and throw the rest of your financial plans off tack. I’ve written about my system for dealing with irregular expenses before. It basically involved setting up a separate savings account for each type of irregular expense, automating monthly savings to each one, and transferring money out when I needed to spend it. And while the idea there is good, the execution can be a hassle and the truth is that my wife and I weren’t accounting for all of the irregular expenses we should have been. And this is where YNAB really shines. All of those things are either annual bills or irregular expenses that could potentially throw my entire budget off track. But in YNAB I simply make each one its own category, budget a monthly amount to ensure that I have the money when I need it, and walk away knowing that I’ve already accounted for just about every curveball life could throw my way. I can’t tell you how anxiety-relieving this is. With all of these irregular bills and expenses accounted for, I know that the rest of the money in our accounts is truly available for the rest of our spending needs and savings goals. I don’t have to worry anywhere near as much about a forgotten bill or unforeseen expense throwing us off track. There are two key things about YNAB that force you to be a lot more real about your budget than any other tool I’ve seen. First, you can only budget with money you already have. This isn’t some theoretical exercise about what you plan to do with your next paycheck. With YNAB, you’re forced to be real about how much you can afford spend given the money you actually have in your accounts. In other words, it forces you to live within your means. Second, you have to account for overspending. I mentioned this above, and I can understand why this would sound way too nit-picky for some. I honestly thought it was a little bit-picky at first myself. But I’ve come around and now I think it’s hugely important. To start, it’s really easy to do within the app. It’s just a couple of clicks to move money from one category to another and you’re done. And more importantly, whether you think about it or not, your overspending is already being accounted for. Either it’s taking away from something else or it’s adding to your debt. Ignoring it doesn’t remove the impact. It just means you don’t fully understand the impact. By accounting for it, you are both able to choose the impact that it has and better understand how that overspending affects your overall situation. Do you want to reduce your eating out budget this month? Or maybe you haven’t spent as much on groceries this month and you can take money from there. Or maybe you have to take it out of savings. The point is that it forces you to be real about the consequences of your behavior and it gives you the opportunity to choose what those consequences are. All of which leads to better understanding and more control. Before YNAB, I was using a combination of mint.com and a few different custom spreadsheets to track our spending. I’ve written about most of that process here. And while I, for the most part, had a good handle on how all of those pieces fit together, it was not a very good way for my wife and I to stay on the same page. There were too many moving parts and too many different spreadsheets for us to really have a shared understanding of what was going on. YNAB has largely solved that problem for us. Everything is in one place. Everything is organized and presented much better than it was in my spreadsheets. We set it all up together and keep it up to date together. Now we’re speaking the same language. I wouldn’t say that it’s perfect, but our communication and shared understanding of our entire financial situation is so much better than it used to be. Before YNAB, my wife and I had one checking account and seven different savings accounts. One for our emergency fund and six for the most significant irregular expenses that we wanted to plan ahead for. With YNAB we’re down to one checking account and one savings account. And that’s because we’re able to use categories as virtual savings accounts, setting money aside for irregular expenses and letting those balances build up within the app, instead of having to actually transfer it to a savings account and then transfer it back when an expense came up. This has dramatically reduced the number of moving parts in my life without in any way changing my overall strategy. I’m still able to implement the same self-driving financial system. It’s just that it’s all done through categories within the app instead of transfers between actual savings accounts. It’s all much easier to manage with a lot less to keep track of. As much as I love YNAB, it’s not perfect and it’s not for everyone. Here are some of the biggest downsides. In addition to the learning curve of using any new app, YNAB forces you to think differently about your money in a number of ways. The idea of your savings goals being tracked as categories instead of savings accounts can be a little weird. Budgeting only with money you have can be a little weird. Accouting for overspending can be a little weird. There’s definitely an adjustment period, and the truth is that this approach isn’t right for everyone. I personally love it, but you may find that it doesn’t quite line up with how you want to think about your money. YNAB requires more work than other budgeting apps. It’s a lot of work to set everything up and get used to using the app. It’s also a little more work than some other apps to import and categorize transactions. You also have to set your budget each month. It doesn’t automatically carry over, though you can use goals to make this pretty easy. And you have to account for overspending, as we talked about above. So yes, in some ways YNAB is more work than other budgeting tools. Instead of using a combination of mint.com and a custom spreadsheet, everything is handled in one place. While it’s a lot of work up front, once you’re used to it it’s actually relatively easy to maintain. The work you do have to do results in a more stable budget, which means you spend less time and energy scrambling when the unexpected happens. At the end of the day, any extra work you do have to put in ultimately leads to a better, more realistic budget, which means that your overall financial situation will be in better shape. To me, that’s a win. YNAB is a budgeting app through and through. That’s what it’s meant to do and it does it well. It also means that it’s not great at tracking things like investments accounts, mortgages, auto loans, student loans, and other accounts like that. You can certainly link them, but it doesn’t automatically track the growth in your investment accounts or separate interest from principal payments towards your debt. There’s manual work that has to be done in order to keep those balances up-to-date. My experience is that it’s better not to link those accounts at all. There’s not much benefit and it adds a number of unnecessary complications. And for the purposes of your budget, all you really need to track is the money you’re sending to those accounts from your checking, savings, and credit cards. All of which means that YNAB isn’t great at tracking your net worth and giving you that view of your overall financial situation. I’m personally happy tracking that separately, but you may feel differently. There’s a 34-day free trial, but after that YNAB costs $83.99 per year. My personal opinion is that most people will get more than enough value out of it to make up for the cost, but I could understand if this was a deal-breaker for some, especially given that there are plenty of free budgeting tools available. You consistently spend significantly less than you make each month. You’re already on track with your savings goals and feel confident about staying on track. You’re comfortable with the amount of money you have leftover to spend on things that make you happy. If that’s you, then YNAB may not be able to improve much about your situation and the extra work may not be worth it. Why not give YNAB a shot? I procrastinated for a long time before giving YNAB a shot. I wasn’t thrilled that I had to pay for it. I thought it might be too much work. I was too stubborn/proud/lazy to admit that the system I’d been using for years wasn’t really working anymore. Now it’s hard for me to imagine living without it. It’s had such a positive impact on my entire finance situation, and my only regret is not starting to use it sooner. If you’re struggling to save or pay off debt, or if you’d simply like to feel more in control of your money, I’d encourage you to give YNAB a shot. I think it will help. Thank you so much for the rundown of YNAB. Its helpful to read that even people who have it “together” can still get value out of the software. My wife and I are looking at starting a family in 2018, and with that dropping to single income. We’ve discussed the importance of budgeting for when we get to that point, because right now we use the buffer system, much like you described. Whether its YNAB or some other methodology, I think you just helped drive the point home to me personally of how important it will be to have something in place. Thank you! You’re welcome Mark! And that’s a great reason to give YNAB a shot. Very exciting too! I wish you and your wife all the best, and please feel free to reach out any time if you have questions about anything. Thanks for sharing this info about YNAB. Getting our finances under control was part of my 2017 goals, but my husband and I still have a lot of work to do. We have a joint account for paying bills, and we each have our own checking and savings accounts. Our biggest struggle right now is getting the most out of our income for my husband to save for a new vehicle. Poor decisions in his early 20s left him with a bad credit score, and he can’t qualify for a reasonable auto loan on his own. Our only vehicle is mine, paid for with auto loan in my name a few months ago. As such, I can’t (and won’t) cosign for an auto loan for him. He is saving, but could be doing much better. He’s an impulsive spender and ends up kicking himself for overspending, overdrafting, and just plain not saving enough of his paychecks. I am much more strict on my own spending, and watching where money is going. I keep a calendar with all the bills due on it, as well as other expenses (student loans, auto loan, college savings for the kids, etc.) that I pay for. I constantly check my account and run numbers so I don’t overspend. The struggle has been trying to figure out the best way to meet in the middle to make sure we are both utilizing the money we have in the best way possible. I don’t want to tell my husband to relinquish control of money flow to me, or tell him how to manage his paychecks– he’s an adult, and I’m not his mom. In the interest of respecting our partnership I am trying to give him the opportunity to decide what is working and what isn’t. I just don’t think we’ve found a way that makes it more transparent, and finding the right way for us to budget month to month is at the top of the list for 2018. Thanks for such an honest answer Nicole. Managing money with another person is almost always a struggle. Even if you have the same goals, which isn’t a given, you’ll have different ways of thinking about and handling money that can make it difficult to meet in the middle. My wife and I have struggled with this ourselves, and honestly still do. But YNAB has definitely improved our communication tremendously. Whether or not you end up giving it a try, I hope you and your husband are able to find a system that works. Matt, I just recently tried YNAB as a replacement to Quicken. What I couldn’t figure out was how to track and make sure I didn’t miss paying bills that I am not able to automate, like my water bill and life insurance, etc. I could never figure out a way to create a reminder. Do you have a solution for this? 1. Most of these companies send an email when a new bill is ready. I send all of these emails to a “bills” label within gmail, and then I have a process where once per week I go through those emails and pay all the open bills. 2. For some, like my annual life insurance premium, I’ve created a reminder in Google Calendar that repeats annually and alerts me that my bill is due soon. Thank you, Matt, for the excellent discussion. Thank you also for your other great posts and articles. We currently use a combination of Mint.com, spreadsheets, and multiple savings accounts to track irregular expenses and other long-term goals. 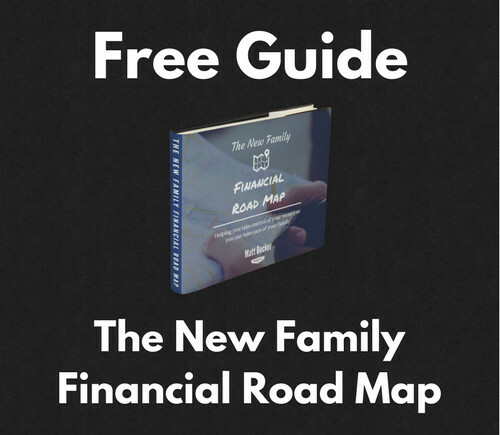 It’s not working for our family though – it requires too much time and manual effort. Our biggest challenge is planning for unknown costs for our child’s complex medical condition. Although we have a good insurance plan that covers most of the direct costs, the incidentals add up quickly. These include gas to drive back and forth to the hospital, takeout for dinner, medication co-pays, and special diet supplements. Because the expenses happen many times per year, I no longer consider them “emergencies”. It’s also hard to accurately estimate them from month to month. I know we slightly overspend each month, and it’s hard to foresee what the opportunity cost is when that happens. We have savings to cover the overspending at the moment, but I’m not sure how sustainable it is. Thanks again. Thanks for sharing your story Brett. I’m sorry to hear that you’re going through this, though I’m glad to hear that at the very least you have some good insurance to help you out. I do think that YNAB could help you plan head for and more easily manage the variable costs, without having to deal with a separate savings account or additional spreadsheets. Please let me know if there’s anything I can do to help you guys out, and not matter what I wish you and your family all the best! 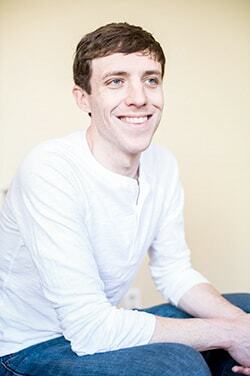 Matt- I never heard of the concept of Buffer budgeting…but it rings SO (too) true! Haha, my old Mint account is collecting a lot of dust as well. I’ve been a long time reader, and your suggestions to Automate Savings has been great for us. Reading this guide and seeing your enthusiasm for YNAB motivates me to give YNAB a second look…I’ve just got to get past the initial setup and keep moving ahead. Thanks for sharing and reminding us young families that we not alone! You’re welcome Stephon! The initial setup and adjustment period can definitely be a hurdle. I usually encourage people to give it at least 3 months of consistent use – meaning you’re actually logging in and updating everything on a regular basis – before making a decision. If you do try it out again, let me know how it goes!